Sales - JohnMel Stables Inc.
Our sale horses are given individual training programs to complement the natural skills and ability of the horse, producing a horse that is willing and ready to do its best whether it be in the competition ring, the racetrack or out on the trails as a pleasure mount. 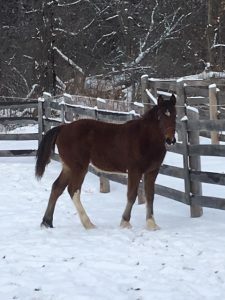 Registered half Welsh mare, foaled April 13, 2015. Dandilion (“Dandi”) is currently standing 13.1 hh and will finish a medium pony. Sired by registered Welsh stallion Dandardel Bennett, and out of Just Say’N aka Sayenne. 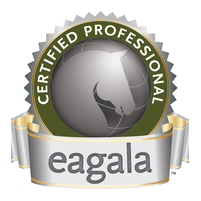 Dandi is showing exceptional potential as a pony hunter or a driving pony. She has lovely flowing gaits, a friendly, willing temperament and very brave. 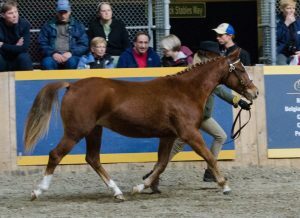 Dandi has shown on the line as a yearling at several shows including the Royal Winter Fair. She behaves like a pro off property. Loads and trailers easily. Stands in the crossties quietly. Dandi will be started under saddle in 2018 and is available for sale. 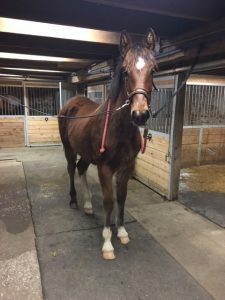 Talon is a Clydesdale thoroughbred cross filly foaled May 11, 2017. 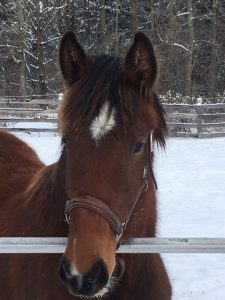 Talon is sired by our registered thoroughbred race stallion Turfiste and out of our registered Clydesdale mare Windy Hill Cassandra aka Cassidy. Talon has plenty of bling and a kind gentle disposition. She leads well and can crosstie. We own both her parents who can be seen on site and in March 2018 we sold Tassimo a full sibling. Talon is expected to mature 16.3 hh plus. She will make an excellent hunter/jumper, eventer or field hunter. For more information about what is available for sale, please contact us.